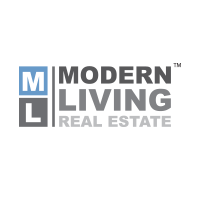 Modern Living Real Estate is a South Florida based boutique real estate company specializing in representing buyers, sellers, and renters in finding or selling their homes all over Palm Beach & Broward County. With our office in Downtown West Palm Beach, we know the modern luxury condo & home market in these major urban markets: Downtown West Palm Beach, Downtown Delray Beach, Downtown Fort Lauderdale, Palm Beach Gardens & Jupiter Abacoa real estate markets. We are Modern Living Real Estate, a boutique real estate company specializing in representing buyers, investors, and renters find new homes all over Palm Beach County. We have agents in every major market of Palm Beach County including the Boca Raton, Boynton Beach, Delray Beach, Palm Beach Gardens, Jupiter, Royal Palm Beach, Wellington and West Palm Beach real estate markets.